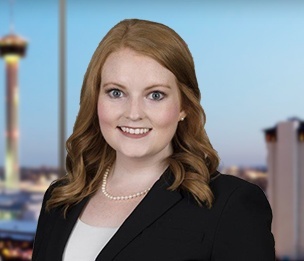 Danielle N. Rushing is an associate in Dykema’s San Antonio office, focusing her practice on bankruptcy and restructuring matters. She currently represents several multi-million dollar businesses, particularly oil and gas/energy companies. Ms. Rushing has drafted and argued various motions in state and federal courts. Prior to joining the firm, Ms. Rushing clerked for the Honorable Craig A. Gargotta, United States Bankruptcy Judge for the Western District of Texas, and practiced as a commercial litigation associate with a civil litigation firm in San Antonio. While in law school, Ms. Rushing interned in the chambers of the Honorable Craig A. Gargotta and the Honorable Catherine M. Stone, Chief Justice (Ret.) of the Fourth Court of Appeals of Texas, and with the Department of Justice’s U.S. Trustee Program. Additionally, Ms. Rushing served as a Senior Associate Editor for the St. Mary’s Law Journal. "Legal Bandaids: Temporary Restraining Orders, Temporary Injunctions, and Equitable Remedies"
"Use It or Lose It: Grappling with Classification of Post-Petition Sale Proceeds Under Chapter Seven Bankruptcy for Consumer Debtors in the Lone Star State"